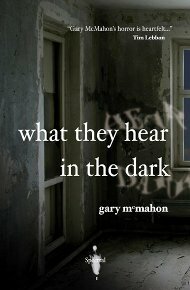 First, Michael Wilson over at Read Horror webzine gave Gary McMahon’s What They Hear in the Dark a short review, giving it a thumbs up. Michael will also be reviewing the other Gary’s Abolisher of Roses at some point in the near future – in the meantime, here’s what he said about Mr. McMahon’s chapbook. Antipodean writer Angela Slatter, of Sourdough & Other Stories (Tartarus Press) and The Girl with no Hands (Ticonderoga) fame (both of which I have reviewed), asked me to participate in one of her fun little ‘Drive-by Interviews’, which she published today. You can see what I said by clicking here.